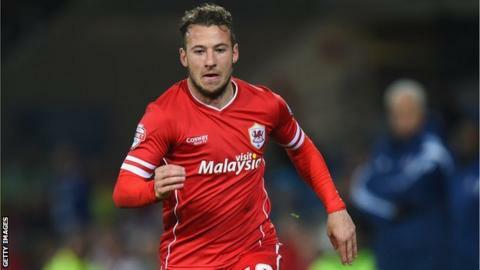 Wolverhampton Wanderers have signed striker Adam Le Fondre on a season-long loan from Cardiff City. Le Fondre, 28, scored three goals in 25 games for Cardiff last season following his move from Reading in May 2014. He spent the second half of the campaign on loan at Bolton, netting eight times in 17 appearances. "We are really pleased to bring Adam to the club," said Wolves' head of football development and recruitment Kevin Thelwell. "He has a proven goalscoring pedigree with a terrific strike-rate in both the Championship and Premier League. "We have been chasing him for a long time and are delighted that he is now a Wolves player."